Fireplaces and fire pits create a beautiful focal point for your entire outdoor living area. For the past 48 years, Matthews Construction and Design has had one goal in mind when creating outdoor areas – to create an environment that is perfectly designed for you and your family. Owner Brian Matthews brings an artistic vision into all of his projects, and has earned the loyalty of customers throughout Washington, D.C. and Montgomery County, Maryland. Let us incorporate a fireplace or fire pits into a space where you and your family and friends can gather to create memories. Today in the marketplace there are pre-assembled fireplace units that are quick to install, but don’t give you the same level of involvement compared to getting one custom built. Our outdoor masonry fireplaces are entirely customizable in order to fit your style and needs. The size and height of our fireplaces create incredible ambience by emitting a warm and welcoming light that adds a tremendous amount of personality to your existing space. Often fireplaces are constructed on a concrete footer and are framed with a fireproof block. We give the option to finish your block with either a stone or brick veneer that blends with the surrounding landscape or with your home. Fire pits are smaller than a fireplace, but are just as customizable. These structures can range from steel bowls to a decorative chimney that have the ability to move around. If you’d like a fire pit that naturally blends in with its surroundings, then a boulder fire pit is a nice option. We can design tall tabletop height fire pits or longer trough-like styles. It all depends on what your plans for the space are. Before deciding to get a fireplace or fire pit installed to your outside patio, we advise that you review the laws regarding fire safety, just to be on the safe side. The standard space needed between a burning fire and any combustible structure is at least 15 feet. The smoke produced and the scale of the fireplace are two factors in the design. You don’t want your smoke is constantly billowing over into your neighbor’s yard or even house. We’ll help you understand how the fireplace or fire pit we design will impact your surroundings and advise you on the best options available. 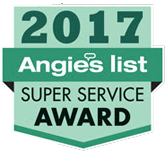 Satisfied customers in Washington, D.C, Gaithersburg, Germantown, and throughout Montgomery County have rewarded Matthews Construction and Design with an A rating on Angie’s List. Contact us to discuss your ideas for fireplaces or fire pits.